We will begin with some of the outdoor activities available at the Lake, and then continue with other activities and information about the Morehead - Rowan County area. Links will be available to lead you to interesting Internet sites about the local area. Cave Run Lake is located in the Daniel Boone National Forest Southern Region and contains over 8,000 acres of water for recreational use. Visit the site for Daniel Boone National Forest in the Cave Run area. Welcome to our new website - we hope you enjoy your online trip to Morehead and Rowan County and its neighboring attractions. Some sections of these pages will be dedicated to the needs and interests of our visitors. Others will be for my friends and neighbors in Rowan County and in our local organizations. And some will just relate to personal hobbies and interests. Your suggestions are always welcome. What's happening next in the Morehead Region? Court Days in Mt. Sterling take place in nearby Mt. Sterling in mid-October. It originated in early times when county residents came to town on "court day" to sell produce, trade guns and dogs and other items and has continued to this era. Also, stop by the Gallery on Main Street and enjoy the photography exhibit of Morehead resident Carol Shutt. Rows upon rows of fishing equipment line the racks of one of the local shops catering to the outdoor enthusiast. 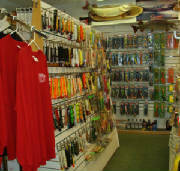 The shop pictured in the photo is Crash's Landing (outfitters and a muskie guide post). Please check with event organizers for specific information or changes as to dates, times, location, etc. of special events or contact the Morehead Tourism office. See link to the Morehead Tourism site in the box below at right. 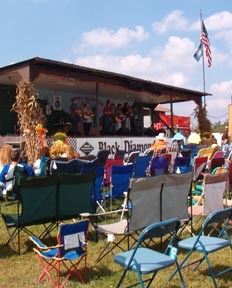 The annual Harvest Festival held each year is enjoying beautiful weekend weather. 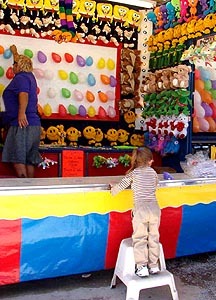 The carnival and flea market have been moved to Heck's Plaza this year. Craft booths and vendors are at the Kroger Center. There will also be entertainment including music. 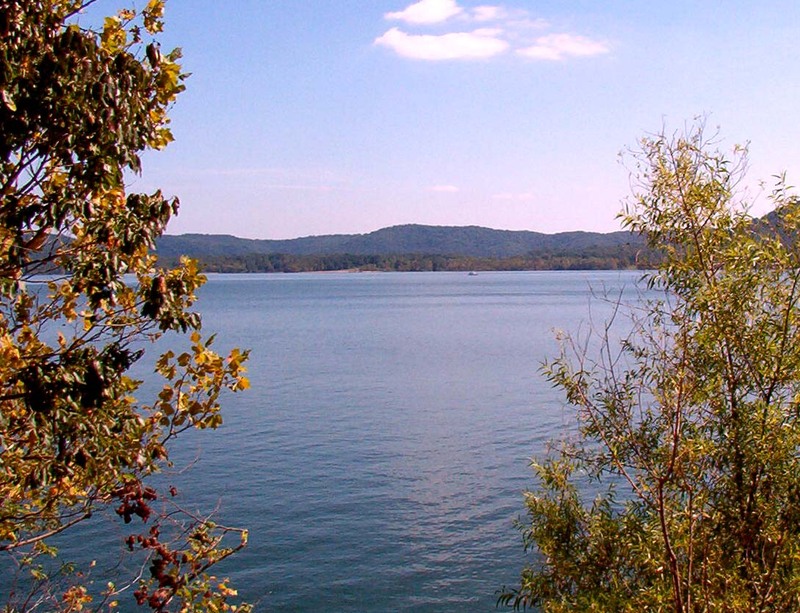 One of our local attractions is Cave Run Lake, set in the magnificent Daniel Boone National Forest. Opportunities for outdoor recreation include hiking, fishing and picnicking. Horse riding stables are nearby, and there is a forest visitor center with interesting displays. 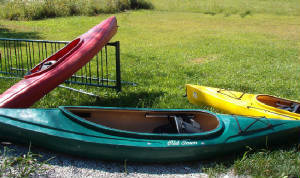 The photo below is of kayaks awaiting the pleasure of visitors to Cave Run Bicycle and Outdoor Center. Finding lodging in the area is not difficult. In season, there is camping at Twin Knobs in the Cave Run area. Brownwood Cabins are nearby with a beautiful view of the Fish Hatchery area. A new Comfort Inn motel can be found at the 80l exit (Farmers/Sharkey). At the Morehead exit on I-64, there are several excellent chain motels and a group of restaurants. The views below are of the annual Poppy Mountain Festival and Harvest Festival, each of which took place in September. On September 24-25, the featured event was a storytelling festival at Cave Run Lake. 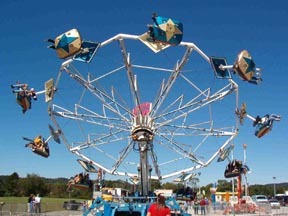 Each year Morehead/RowanCounty/Cave Run Lake area is host to a variety of events, with two of the more well-known ones being the Bluegrass and More Festival in June, and a weekend of special holiday events the first weekend of December. 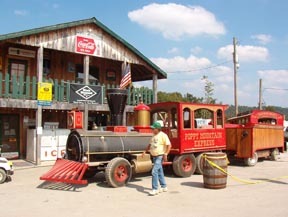 The Morehead tourism office maintains an abundant supply of information on local attractions and can be very helpful to visitors. Although many of us think of going to the Lake as an activity involving boats and bathing suits, others seek land-based opportunity. The Lake area has many trails which will be enjoyed by the casual walker and the more serious hiker alike. It is possible to rent bikes at Cave Run Bicycle and Outdoor Center. Several lakeside businesses stock things for the picnicker - ice, beverages, food and other needs. Click the link below which lists some of these. The Lake is also of interest to those involved in bird-watching with a special viewing area on Highway 801. Be sure to bring a camera, and watch for deer who are frequent visitors to Daniel Boone National Forest.